With its origins in a charity event designed to raise money for cleaning the Belize River, La Ruta Maya Belize River Challenge has morphed into a full-fledged competition with hundreds of racers from around the country and the rest of the world paddle 170 miles from San Ignacio’s Hawksworth Bridge to Belize City. Beginning at 7:00 in the morning on March 8, 2019, each three-person canoe team will face four days of white water rapids, fickle currents, and portages to be the first to cross the finish line in Belize City. Professional, family, and amateur crews alike compete in this popular national sporting event that is wildly popular in Belize. With eight different competitor classes, there's plenty of fun and excitement for racers of all skill levels and abilities. This four-day race has plenty of challenges for even the most experienced three-individual canoe team. One of the toughest canoeing challenges in the world, La Ruta Maya is a test of both skill and endurance as teams race to be the first to cross the finish line in Belize City. The River Challenge wouldn't be the popular competition that it is without the enthusiastic support of the entire community. Locals and foreigners alike throng the river banks to cheer on the racers in this four-day event. At the end of each race day when teams come ashore in the designated villages, they are enthusiastically welcomed by supporters with great food, music and drink. 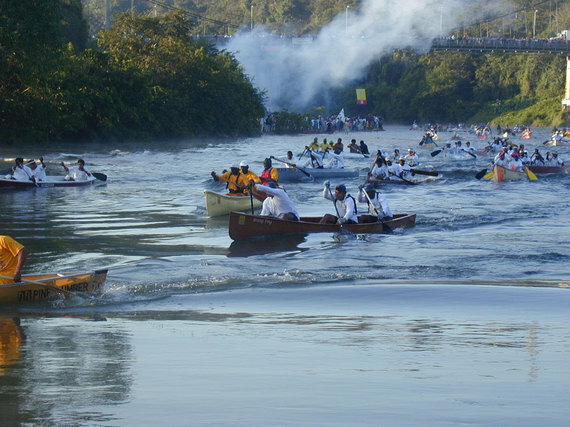 Huge crowds throng the river banks as the teams set off from San Ignacio on the first morning of the race. Crossing over two different rivers with a mandatory rest period at three different villages, the racing teams are boosted by enthusiastic cheering and emotional support. Foreigners and locals alike take the occasion to celebrate the excitement of the race with music, food, dancing, and drinks. For your chance to witness this amazing sporting competition, act now to secure lodgings at the fabulous Cahal Pech Village Resort. The resort features outstanding accommodations near the start of the race and can guide you to all the best spots to witness the action as hundreds of teams compete for the grand prize of being crowned the winner of the La Ruta Maya Belize River Challenge. Questions about visiting Belize for La Ruta Maya Race? Contact us at [email protected] or call toll free 239 494 3281. 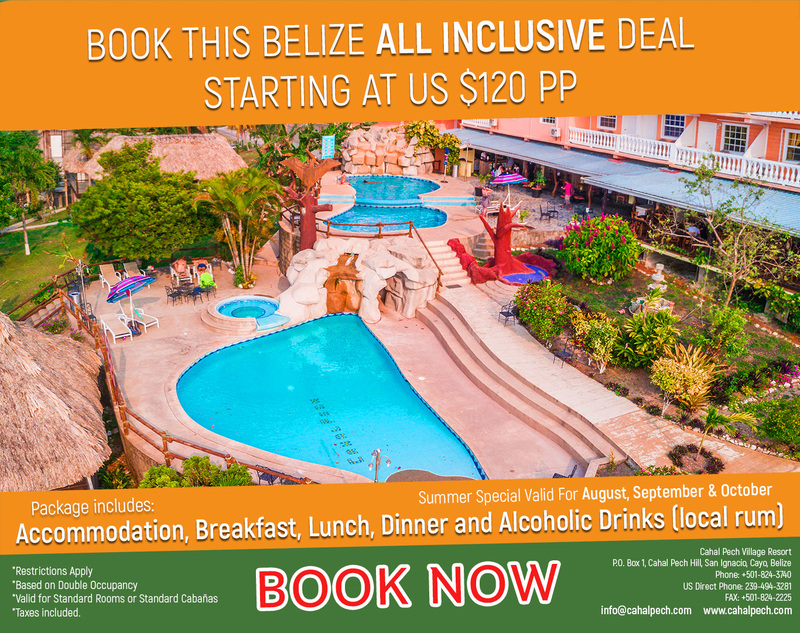 We’d love to help you plan your Belize vacation.